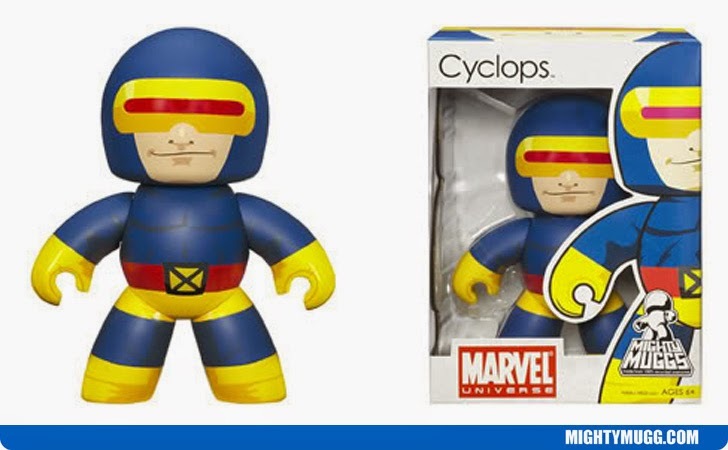 Cyclops is a mutant and member of the X-Men, he first appeared in Marvel Comics X-men #1 in Sept. 1963 by Stan Lee and Jack Kirby. Actor James Marsden portrayed the hero throughout multiple X-men movies that all did very will in the box office. The Mighty Mugg above portrays him in his classic yellow and blue suit.